When Apple debuted the iPhone X in 2017, the company finally dipped its toes into the world of wireless charging by announcing support for the wireless standard Qi. To complement the iPhone’s new capabilities, Apple also unveiled its own wireless charging mat called AirPower. After over a year of waiting and plenty of rumors about the product’s release, Apple has finally canceled AirPower, claiming that it was unable to meet its own high standards for the hardware. “After much effort, we’ve concluded AirPower will not achieve our high standards and we have canceled the project. We apologize to those customers who were looking forward to this launch. We continue to believe that the future is wireless and are committed to push the wireless experience forward,” said Dan Riccio, Apple senior vice president of hardware engineering, in an email statement to TechCrunch. The news is surprising and a rare move for Apple. For months rumors have suggested that development of the charging pad was running into walls, but that the product was still slated for launch in the first quarter of the year. That’s no longer the case. Here’s why it was so diffucult to make. 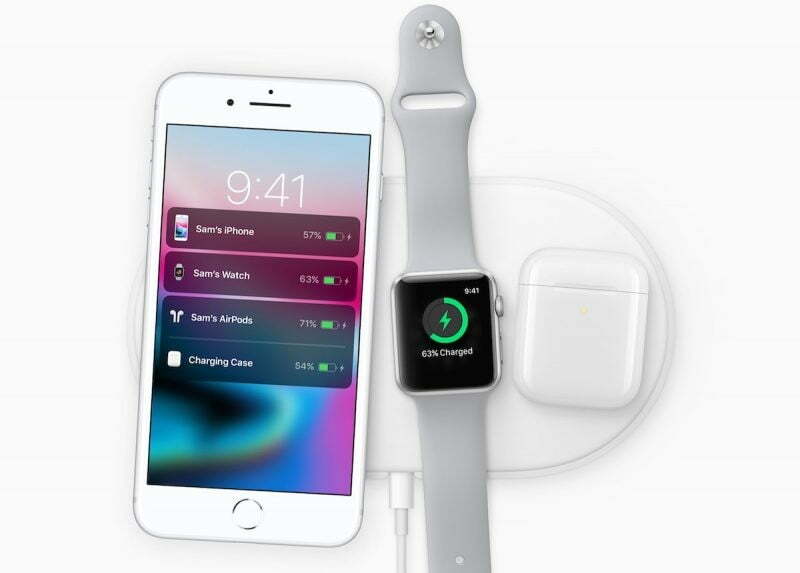 The main benefit of Apple’s AirPower would have been to wirelessly charge multiple devices at one time, meaning a 2017 or newer iPhone, an Apple Watch, or even AirPods, provided they’re stored in a wireless charging case. Powering several devices at once seems like a simple matter, but it’s not. Different devices require different amounts of power, and the pad needs a method to detect which device is where, and then supply the correct amount of power only to devices sitting in that specific location. What’s even more complicated is that Apple has used different wireless charging systems for the iPhone and the Apple Watch. This means multiple chargers living together inside the AirPower, which have to understand which device needs charging and by how much. It’s likely that the complications related to those issues were ultimately what spelled the end for the project. Even more incredibly, the pad would also have used the largest device on the pad to communicate the charging progress of each of the devices. So the display on your iPhone XS display would have shown the charge level of your Apple Watch when placed on the pad, as well as its own, but plunk down an XS Max and the larger phone takes over duties as the charger’s screen. It would have been an intricate system. Why was it supposedly so hard to make? 2018 saw a lack of official information from Apple, but rumor mills were busy churning out speculation on Apple’s difficulties making this revolutionary charger. Reports gathered the project may have been a little too ambitious even for Apple, with designers aware of multiple problems. One of the biggest was apparently overheating, which, according to insiders speaking to Daring Fireball’s John Gruber, may have prompted the company to retire the current design and try something new. Comments about heat management problems for the AirPower were echoed by Apple watcher Sonny Dickson, who said the AirPower was unable to communicate properly with devices it was charging. The company also supposedly struggled to find a way to integrate the three different charging coils required by Apple’s wirelessly charged devices into the product without generating interference. Thankfully, AirPower isn’t the only way to wirelessly charge your Apple products. The iPhone uses the Qi standard of wireless charging, and there are hundreds of Qi wireless charging pads out there you can use instead of AirPower. Some are also capable of charging the Apple Watch as well. The new AirPods 2 also have an optional wireless charging case that supports the Qi standard, which means it should work fine with most of these charging pads as well. Check out our guide on the best smartphone wireless charging pads to find more. Updated on March 29, 2019: Apple has canceled AirPower.